Cruising Alaska is one of the most incredible experiences imaginable. The Alaskan cruise normally ferries between Anchorage, Alaska and Vancouver, British Columbia along thousands of miles of untouched coastline. Cruising Alaska takes visitors along beautiful fjords, salmon filled rivers, and massive glaciers. And Alaska expedition cruises are one of the best ways to experience these natural wonders. Whether you are taking part in an Alaska cruise from Vancouver or Anchorage, there are some incredible options for adventure. Our Alaskan cruise was our first stepping stone into cruising. This eventually led to cruising through Ontario and on a Northern Lights cruise in Norway. But, whether you are using an Alaska cruise as a way to enter the state and explore some of Alaska’s incredible National Parks, or just as a way to sit back and enjoy some of the world’s most breathtaking scenery, a cruise along the inside passage is something you’ll likely never forget. Our one week Carnival Alaska cruise was a bucket list item for both Kevin and I. We had several Alaska cruise excursions planned to keep us busy. Kevin had never cruised before so when I saw a great deal on an Alaskan cruise came up I thought it would be the perfect introduction to cruising. 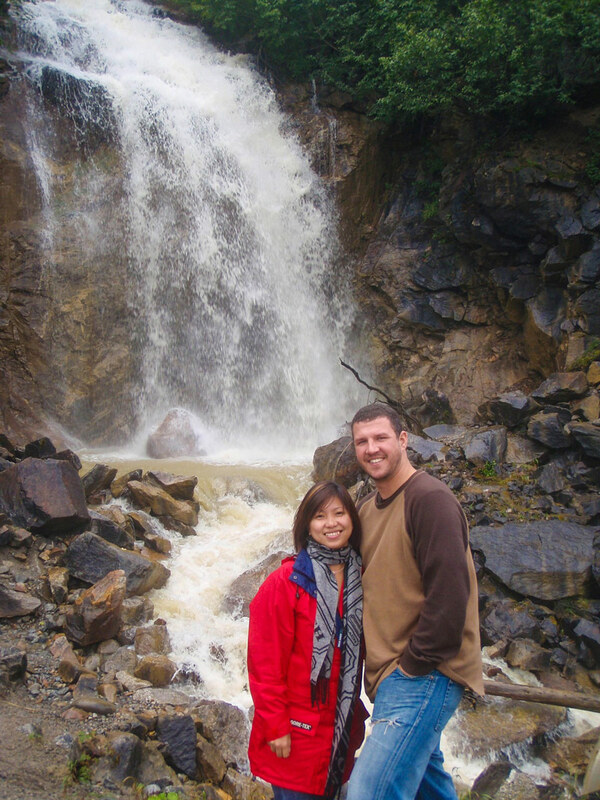 Both Kevin and I had always dreamed of visiting Alaska so it was looking like a win-win! Our port of embarkation was in Anchorage and the Alaska cruise ended it’s journey in Vancouver, Canada. Between, we would be stopping at 4 Alaska cruise ports of call: Sitka, Juneau, Skagway, and Ketchikan. While planning our trip we were overwhelmed with all the available Alaska cruise excursions! For each port of call, we decided to explore the town and then join one of the adventure tours being offered. The town of Sitka was the first port of call on our Alaska Cruise. Sitka is the home of the indigenous Kiksadi Clan of the Tlingit people. In the 18th century, Russians established an outpost in Sitka and remnants of the Russian influence on Alaskan culture are still evident. In the town of Sitka, we were able to visit three sites. 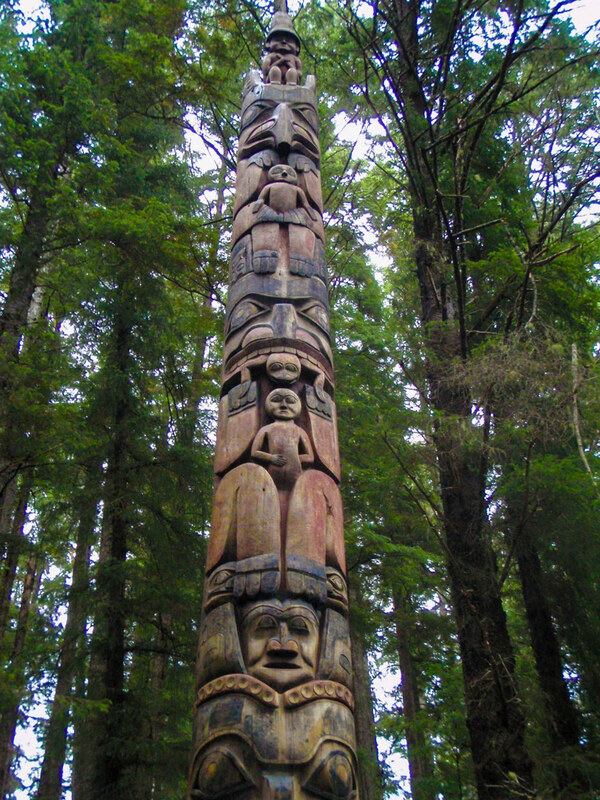 The Sitka National Historic Park which is filled with beautifully carved totem poles. At the Alaska Raptor Rehabilitation Center were we were able to get an up-close and personal look at some bald eagles and other birds of prey such as falcons, hawks, and owls. 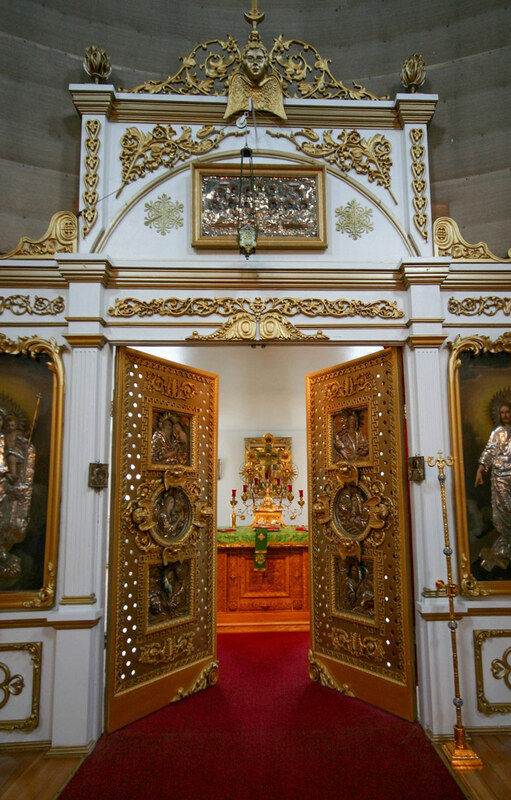 Our last stop was the iconic and beautiful St. Michael’s Orthodox Church. 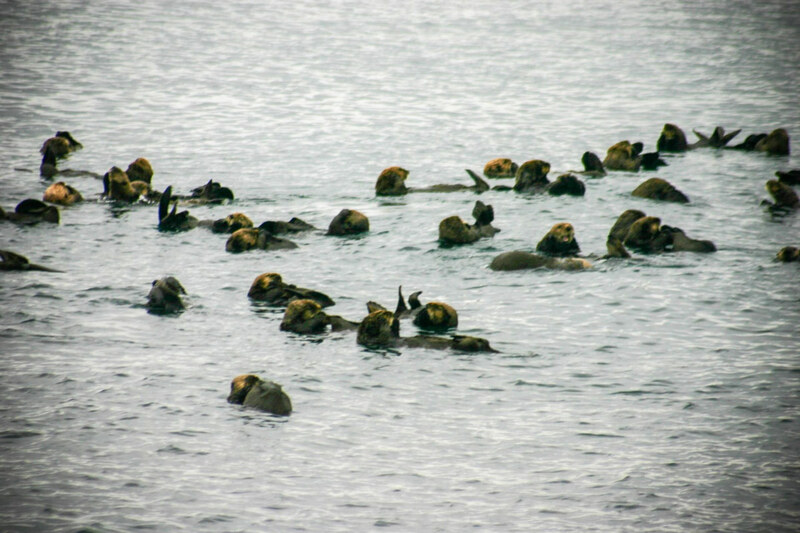 For our Sitka, Alaska cruise excursion, we signed up for a Sea Otter and Wildlife Quest. The scenery we were able to witness was stunning. Thanks to the smaller boat, we were much closer to the water than when we were on the cruise ship. We were able to see all the fish (including some flying fish) and jellyfish that could be found in the area. As advertised, we got to see sea otters splashing around in the waters! 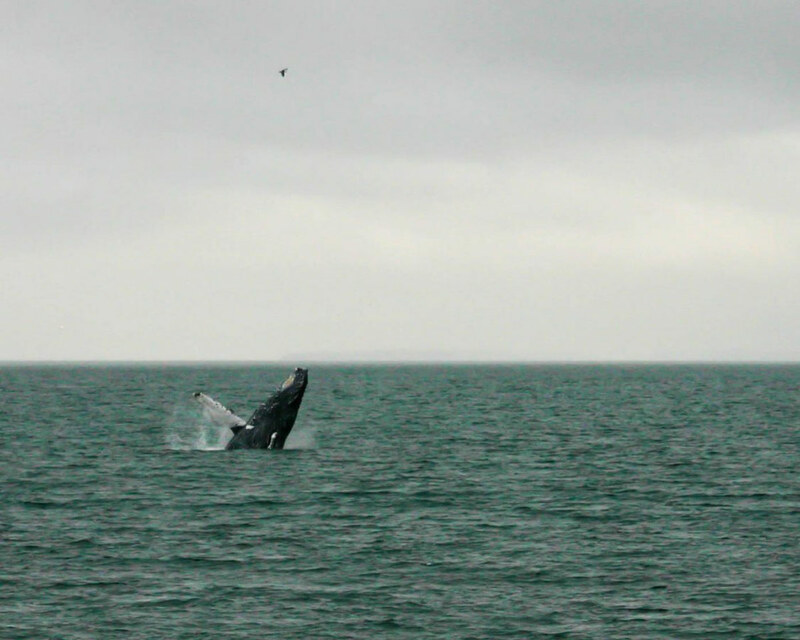 In addition, during our wildlife quest, we also saw bald eagles, seals, dolphins, and whales. The following day we cruised north into the town of Juneau. Juneau is the Alaskan state capital and features both the Alaska state museum and Alaska state capitol building within walking distance of the port. Instead of touring downtown, we opted to take a cab for a trip 20 km out of town to view the magnificent Mendenhall Glacier. 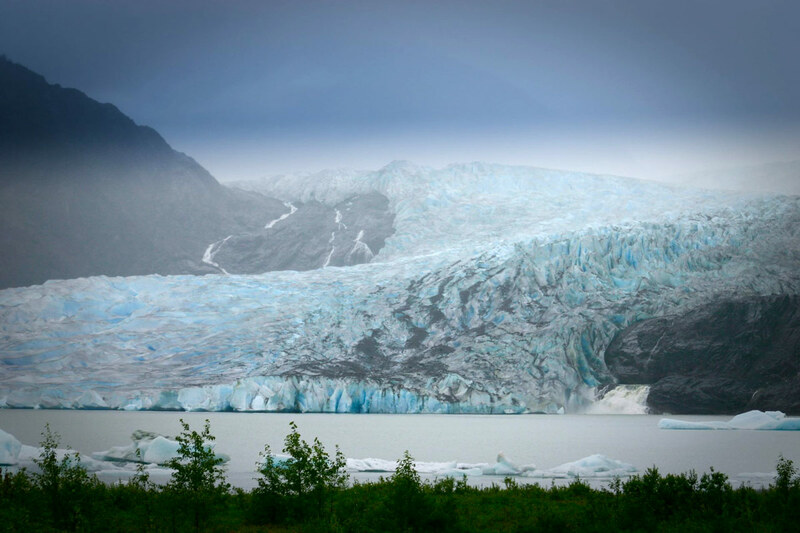 Like all Alaskan glaciers, the Mendenhall Glacier is in retreat. The Mendenhall Glacier is shrinking at an astounding rate of over 30 m per year. Originally, we had planned to take a helicopter tour over the glacier and do a glacier walk. The weather had not been kind to us, and our adventure was scrubbed due to dangerous conditions. Instead, we had to settle with viewing the glacier from afar from the viewing platform at the welcome center. The spectacular views certainly didn’t disappoint us! We had a couple of Juneau, Alaska cruise excursions planned. The afternoon saw us sea kayaking in Auke Bay. It was an amazing experience that allowed us to get up close and personal with some bald eagles in the wild all the while surrounded by the beauty of the Mendenhall Glacier. 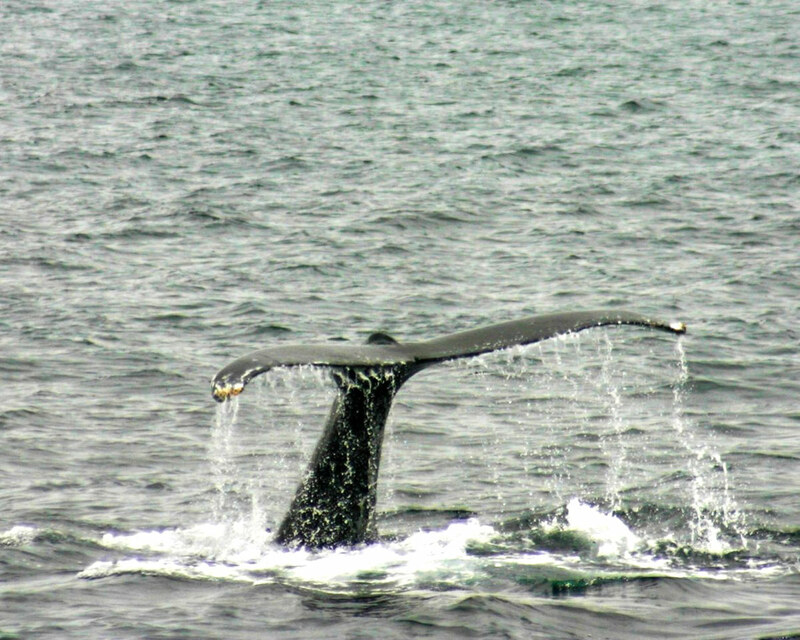 In the evening we joined a whale watching excursion on Stephan’s Passage. We boarded a catamaran specifically designed for viewing wildlife. Stephen’s Passage is the summer feeding ground for humpback whales. It was pretty incredible watching the humpback whales bubble net fishing as well we saw them perform some pretty awesome acrobatics! Near the northern end of the Inside Passage, we stopped at our third port, the town of Skagway. 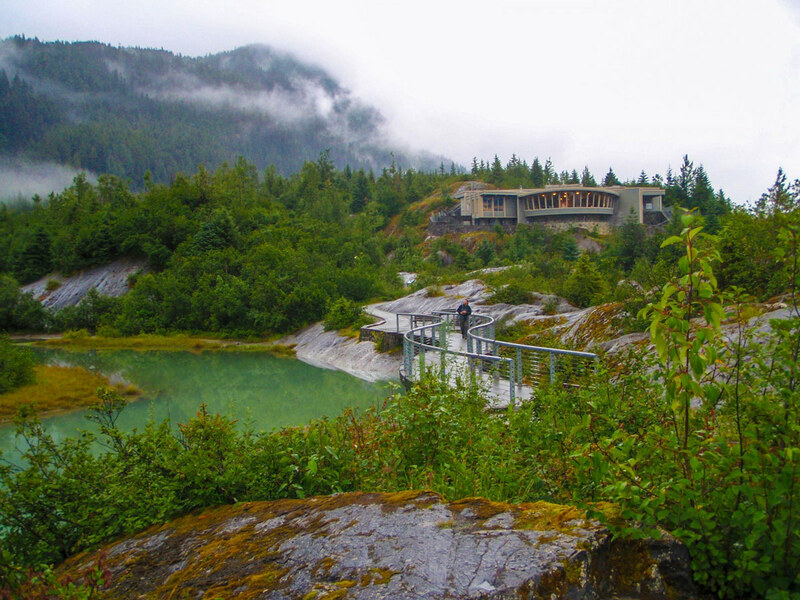 Skagway is easy to explore by foot. Many of the buildings have had their storefronts restored to resemble what they would have looked like during the gold rush days. 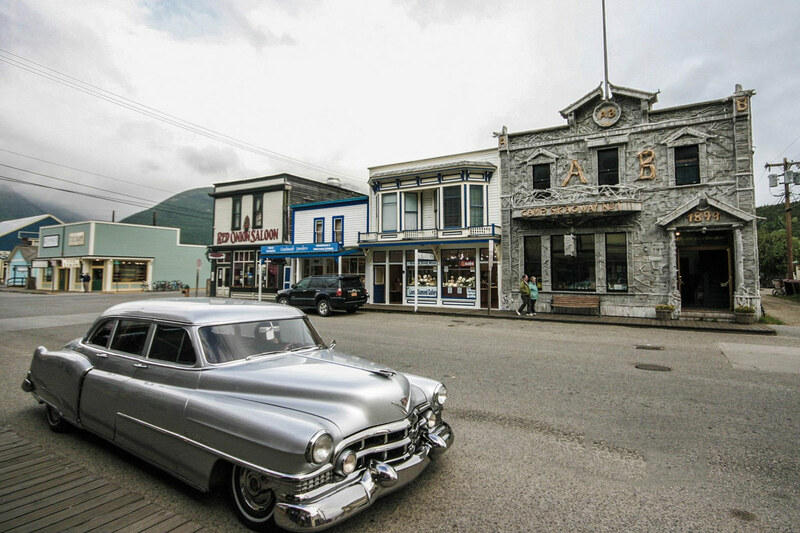 The historic downtown forms part of the Klondike Gold Rush National Historic Park. 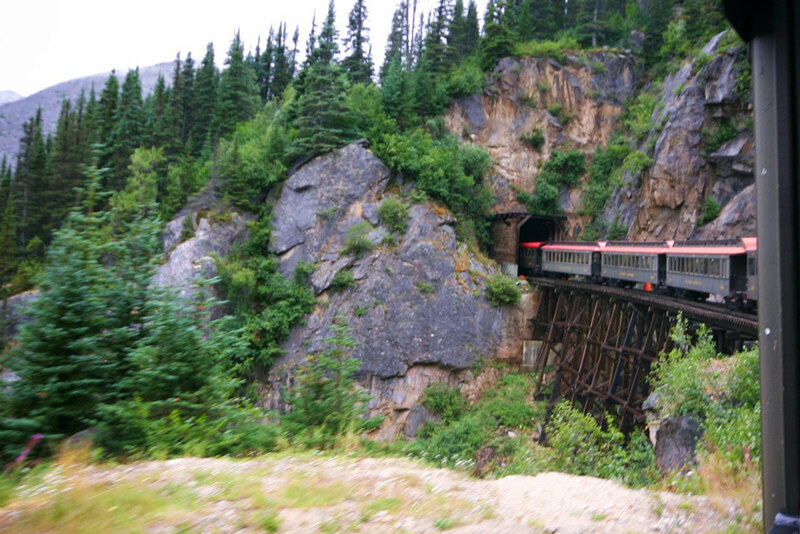 Continuing with our Klondike Gold Rush theme, we boarded the Whitepass and Yukon Route Railway for a three-hour journey along the gold rush route culminating at the Whitepass summit near Fraser, British Columbia. This epic rail journey has a history dating back to the gold rush. And similar to other Rocky Mountain rail experiences like the Rocky Mountaineer, it offers views that are out of this world! The scenery along the way was breathtaking! The large windows on the vintage style locomotives allowed us to take pictures of sights such as Bridal Veil Falls, Inspiration Point, and Dead Horse Gulch. It was absolutely incredible chugging along the tops of the Rocky Mountains and catching the summer flowers on the rocky terrain. The final port of call in our Alaskan cruise was the city of Ketchikan. The boat docked within walking distance of downtown, so like the other three ports of call, there was no need to hire transportation. We spent most of our time along Creek Street. 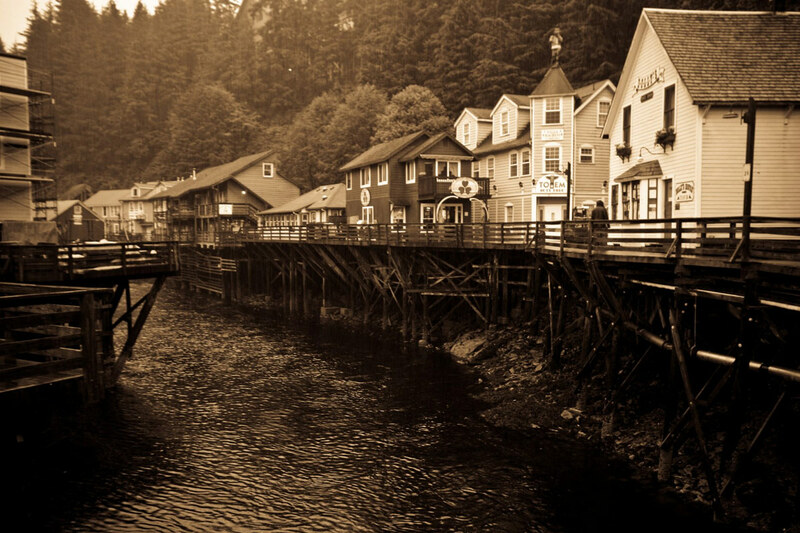 The buildings there once made up Ketchikan’s notorious red light district. The quaint antique-like buildings have given up lingerie and ladies of the night for trinkets, souvenirs, and local art. Our last Alaskan cruise excursion would have us diving into the frigid North Pacific to get a glimpse of the underwater world. We were bused to the shores of Mountain Point where we donned 7mm wet suits, boots, and hoods to protect us from the chilly waters. 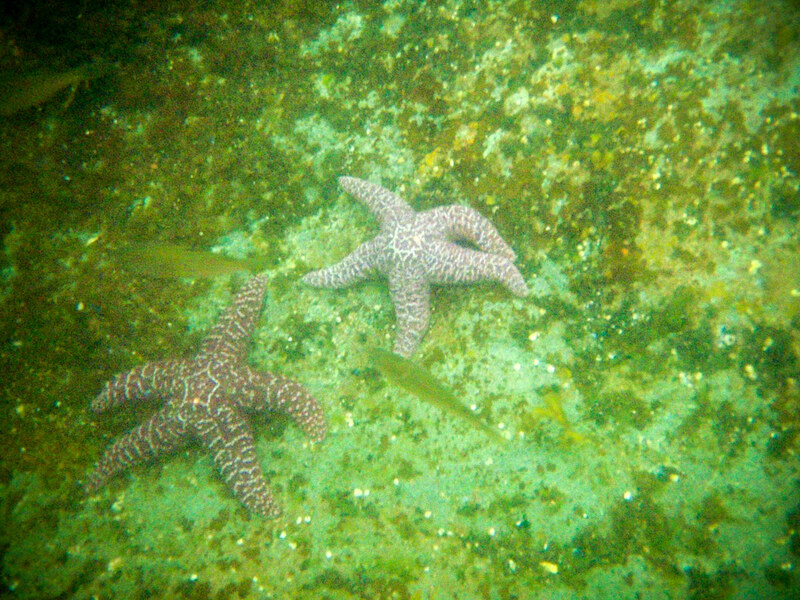 We snorkeled over an amazing kelp forest where we saw fish and various invertebrates. We even got the opportunity to handle some starfish! These are just a few examples of the Alaska cruise excursions that you can partake in from the various Alaskan ports. Depending on the cruise line, you may also be stopping at other cities along Alaska’s shoreline. We found that in 3 of the 4 ports our originally planned excursions were cancelled due to weather. It is good to be flexible with your plans and know what other activities are available. We were able to sign up for other activities easily. Make sure you’re prepared for Alaskan weather. 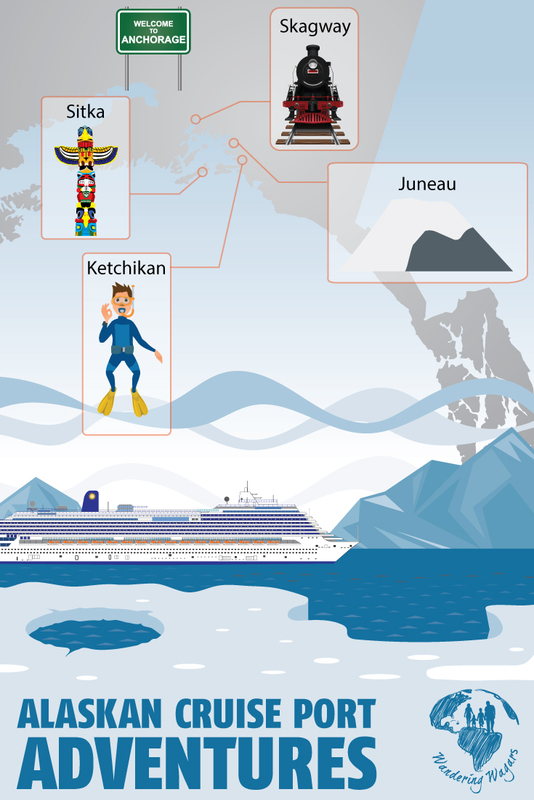 Here are some great tips on what to pack for an Alaska cruise. Have you ever thought about combining adventure travel with cruising? What are your favourite memories? Wandering Wagars is a participant in the Amazon Services LLC Associates Program, an affiliate advertising program designed to provide a means for sites to earn advertising fees by advertising and linking to amazon.com, amazon.co.uk, amazon.ca. Amazon and the Amazon logo are trademarks of Amazon.com, Inc. or its affiliates. I also dream of going to Alaska, I mean who doesn’t? Not many people get to go there, you guys are lucky! I haven’t really thought about going on a cruise as I know they can be really expensive, but I sure wouldn’t mind taking one if ever I get a chance. This is indeed a great adventure, you have blended elements of a cruise with an exciting adventure as well. Loved the post. I would love to board the train and embark on the Gold Rush tour! My clients recently went on this cruise too and they absolutely loved the glacier and also the white pass rail excursion! Having worked within Alaskan cruising I’ve always seeing these options and only done two of them. I loved the railway. We’re talking about heading northward soon, so may need to be a bit more adventurous than we’ve previously been and do the cold water snorkel. Great post, Christina. We took a 2-week Alaska cruise and absolutely LOVED it! We did all of the same excursions you’ve mentioned, and a few more. The Otter adventure in Sitka was definitely one of my favs. They’re SO cute! Wow your cruise sounds amazing. All the photos look wonderful. We have always wanted to go to Alaska. We were on our way once but our van broke down and we never made it. Can’t believe you went snorkelling. It would have been so cold. Good effort. Thanks for sharing. We will just have to try Alaska again but maybe on a cruise this time. Oh no! Car troubles are the worst! We got saddled with a bad breakdown on our drive through Quebec a few years ago. For the snorkelling, it wasn’t too bad actually! Our wetsuits kept us toasty and being able to say we snorkelled in Alaska made it worth it! You guys, oh my, ALASKA. I am so envious of.you! We loved it! Thanks so much! I totally understand! This was our first (and so far, only) cruise together, but it is one of the best ways to see Alaska due to it’s remoteness. Looks like a fun worthy adventure! I can’t help but feel happy for you guys, seeing your smiles at those various sights and sites. How I wish I can go back to Alaska and spend some more time there like you guys, that Route Railway place is something I’d like to see for myself! Seriously, you guys have the best adventures! I’m living vicariously through you these days because i’m stuck at work haha. I also dream of going to Alaska! Going on a cruise there seems a good move. And since I can’t take too cold temperatures for long, that’s what I’m going to do too. Thanks for sharing! I am not a big cruise fan, but I love Alaska. 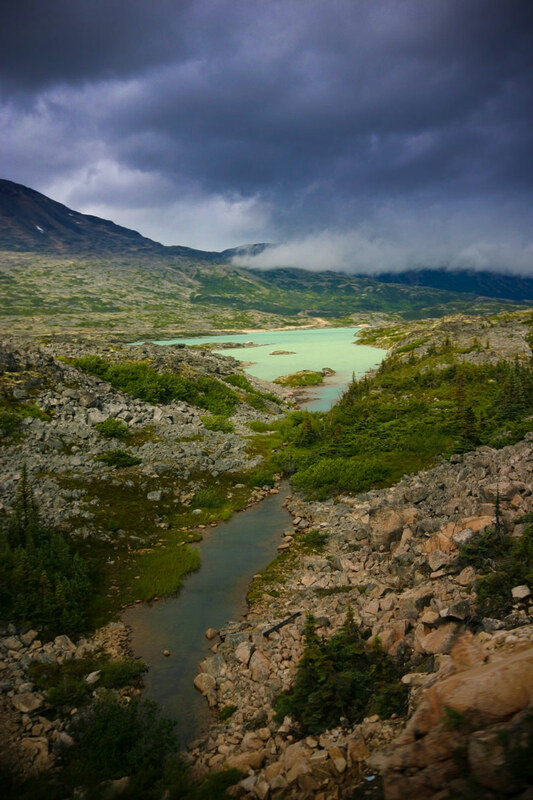 The cruises do allow you to see and experience more of Alaska in a short amount of time. Your photos are beautiful. Wow!!! The whales and snorkeling look amazing!!! Those are at the top of my list for a trip to Alaska! Thanks for the photos! Really great. Totem poles are always a welcome sight, very beautiful. Shame the Mendenhall Glacier is shrinking, here’s to hoping our environmental situation improves with worldly effort. Epic pictures! I love that shot of the bald eagle. I live in the Pacific Northwest so we see a LOT of these cruises come and go. I’m actually not a huge fan of them, but I might give them another try after seeing these pictures. Great information and beautiful photos! An Alaskan cruise is on my bucket list too! Oh, I can’t wait to see some of these beautiful sights. oh wow. that’s really stunning! absolutely an adventure. by the photos itself, it shows how much of an adventure it has been. I scroll all the photos first before I even read all the article. hahaha.. Loved it! Everytime I see photos of Alaska it makes me want to get on a plane immediately and just go! I have also always wanted to do an Alaskan Cruise! I love the totem poles! I have no idea why, but I have always been fascinated by them! You’ve inspired me to really buckle down and try to plan a trip to Alaska! Thanks for sharing! My son worked in Alaska so was able to visit a few times. You really did it up right! Great trip report especially the colorful photos. Wow all of this is stunning. Alaska is for sure a place we shall add to our bucket list, can’t believe we totally forget about it. We tend to forget when we live in Canada that there are many nice palces around in the corner! I’ve never cruised, and I’m not sure I will, but this is one of the more enticing cruises I’ve seen! I drove to Alaska from Missouri and spent over a week driving and hiking all over the state! I’m curious what activities you turned down, were most of them more adventurous like the ones you chose! It looks like you got to see a lot! Cheers! I’ve never taken a cruise at all! And sadly I have never been to Alaska. But this all looks amazing! I would love to see otters, orthodox churches, and the gold rush buildings. What an adventure! My aunt and uncle plus their two full grown children just went on a cruise to Alaska all together! It was to celebrate one of my cousin’s graduation from their Masters. And while their photos looked great yours make me want to visit Alaska more 😛 Where were your two kids? It looks like a cruise to take. Gorgeous pictures, great description. 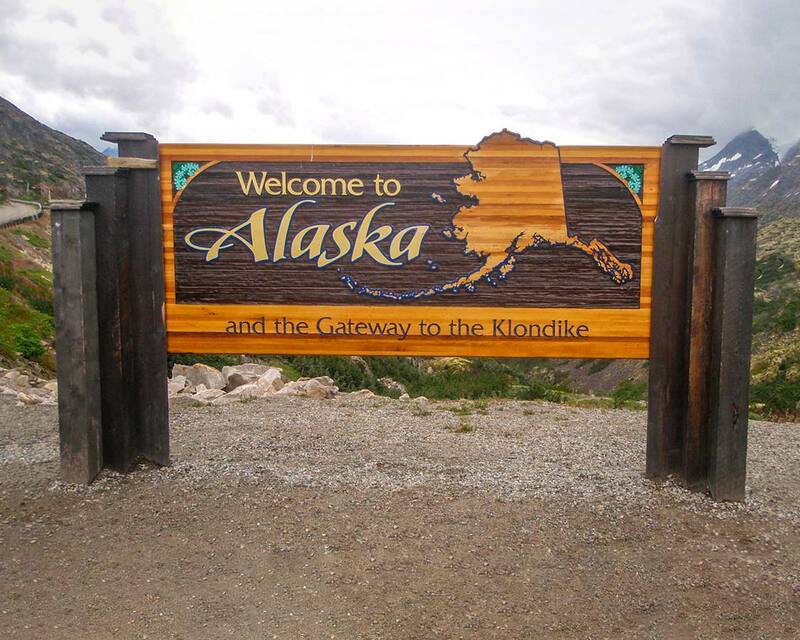 I haven’t been in Alaska or cruise yet Thanks for sharing! That sounds amazing! I’d love to do a cruise because it gives you the opportunity to see so many different places and do so many different things in a short space of time (and not have to stress about the travel plans!) It’s definitely something on my bucket list and Alaska looks like a brilliant place to try. Cruising certainly makes life easy 🙂 It’s not our usual style, but it gave us a great taste of what Alaska has to offer and allowed us to see places we might not otherwise have the chance to go. I can imagine very well why this was so high on your list. Each excursions looks absolutely amazing. Can’t believe you’ve crammed so much into just 1 week! We want so badly to be posted out West next so we can have amazing journey’s like this. Alaska looks amazing and I have always wanted to do more cruising. Thank you for the great advice. Wow, visitin Alaska is such a once in a lifetime opportunity. I would love to go so far into the wilderness. Going to pin this for later in the hope thay I get a chance to go someday. Whale watching is still on my bucket list, and now I’m really thinking of going to Alaska to do it! Thanks for all the details. Also, and this is probably dumb, but I had no idea jellyfish were that far north… haha. You guys are making me want to go back to Alaska! I was only 16 when I went on a cruise there with my family, so I feel like it would be a whole different experience now. 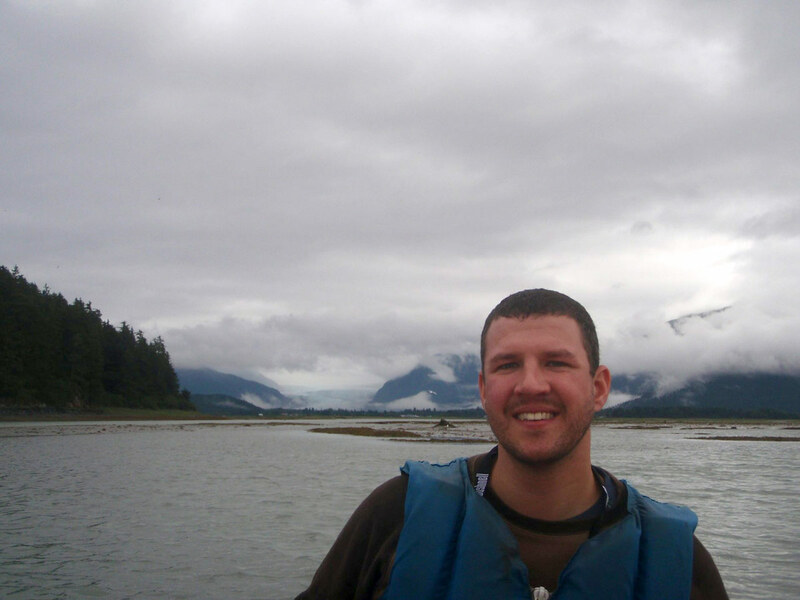 I would especially like to do the Juneau adventure seeing whales and bald eagles. How amazing!! Your pictures are all so beautiful. Ahhh! Such a dream of mine. Alaska and Antartica would be two places that I would LOVE explore via cruise. Great photos. The eagle shot is stunning. Not a huge cruise fan, but I must admit to thinking I could do it for an Alaskan cruise. Thinking of getting over to west Canada next year, and adding Alaska to the trip seems to sound like a plan. Thanks for all of this info. Your photos really capture the beauty of the area. Those sea otters are adorable, I had no idea they were in those sort of numbers. You are one lucky couple! I have always dreamt of going to Alaska, and I know for a fact that it is such a rare and lucky trip to have if you can actually plan it. The post is so nice! Saving it for future reference. Each port has its own charms and activities. That shall have been a great cruise! You’re very brave to bear such a chilly weather, especially during your dive. This looks fantastic. 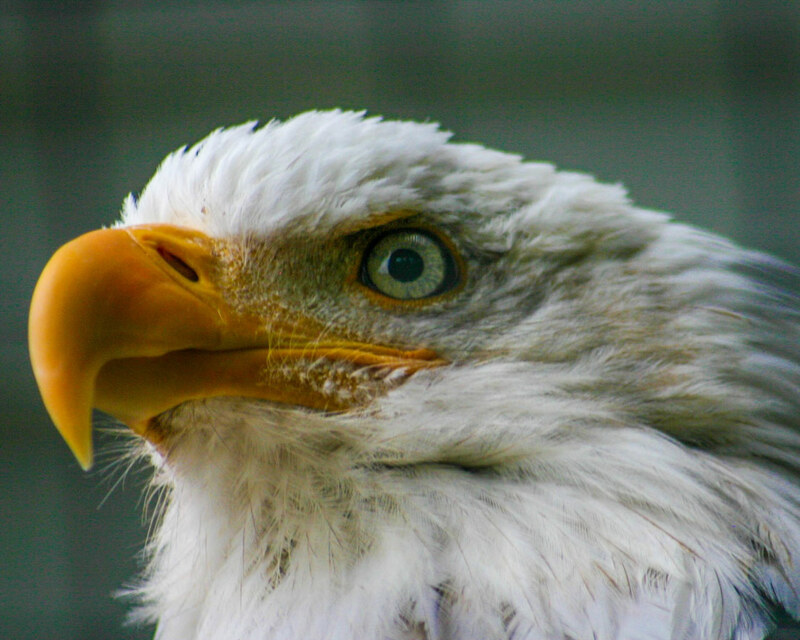 I love your eagle photo! We did an small ship cruise in Patagonia that was fantastic. Each days excursions were great- a chance to see the glaciers up close. Ooh! Alaska cruise! My friends and I were talking about doing an Alaskan cruise (probably a similar one to yours because we were looking at one that ended in Vancouver too) a year or two back but it was very expensive for us to get to the starting point from SE Asia. So it has remained a dream so far. Hopefully one day! Sea Otter and Wildlife Quest & Whale Watching tour seem like not to be missed excursions for me! Anchorage is definitely not a cheap place to get to 🙂 Sales do come up on the flights though, so keep checking! I’ve been to Alaska once before. I based my trip in Anchorage and went north to Denali and south to Seward, where I kayaked Resurrection Bay. One thing I learned quickly about Alaska is that the natural beauty exists everywhere… nothing disappointed me. I’d love to take this cruise and see these spots. It’s a shame about the glaciers retreating. But all the more reason to take care of our planet as best as we can. What a great way to see Alaska! I honestly never thought of doing a cruise in that area, but now I might! Super cool. It is evident that you guys had a gret time. Alaska is in every travller’s bucket list. I am so muct motiavted now to visit. Have bookmarked this for future ref. This is such a beautiful post ! Love the adventure! I keep looking at going to Alaska and then having to figure out which national parks I want to visit on that trip and it gets too difficult to plan. I will most likely go when I win the Denali road lottery one year and knock two parks out that trip. I think a cruise sounds like fun but I hate cruise ships. That sounds like an amazing time. A Denali road trip would be an incredible experience and one we have thought of for a return trip. Best of luck getting your reservation! Wow, this looked like an amazing trip! Alaska is so beautiful! I have never thought about doing a cruise before! thank you for a great post! love the photography! im also feeling really inspired! Thanks for the great read!!! I’ve always wanted to do an Alaskan cruise and this post has just reinforced that. I didn’t realize how many cool ports a cruise would stop in! Alaska is so high on my bucket list. My good friend is from Sitka and she always talks about how great it is. It’s great that your trip included the different areas, they’re all so beautiful. I love how sea kayaking and whale watching sounds in Alaska! My mom went on an Alaska cruise and they went sea kayaking and loved it! Thanks for all the suggestions, I’ll be referring to them more when I get the chance to go on an Alaska cruise.